Andrew Shantz is a keyboardist, vocalist, composer and educator with a foundation in jazz and a penchant for musical exploration. In 2003 he completed a BM in Jazz Piano Performance at William Paterson University which has been complimented by studies of composition and improvisation with the late legendary trumpeter Clark Terry as well as pianist Jason Moran and trumpeter Ralph Alessi. Since 2008 Andrew has been immersed in the world of Hindustani - North Indian - classical music. He studies classical vocal (khayal) under Pt. 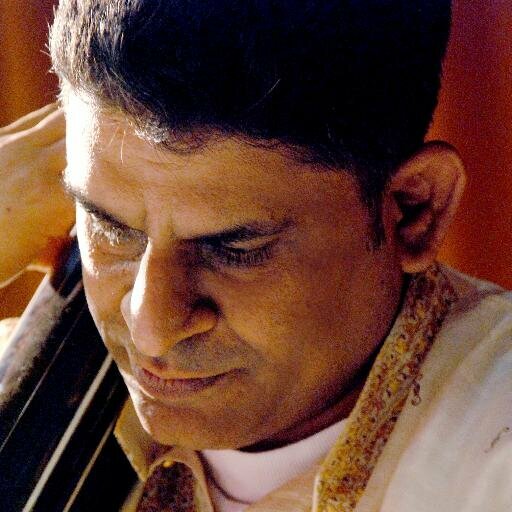 Sanjoy Banerjee of Kirana Gharana. He was initiated into Hindustani vocal music in Kolkata, India by his Guruma Smt. Madhumita Saha and receives special guidance and training from tabla maestro Pt. Samar Saha. In 2016 Andrew founded the fusion group Sangha to bring together the two primary musical streams in his life: jazz and Hindustani classical. Sangha illuminates both the shared characteristics and divergent elements of these forms, and addresses larger questions of the effect of music and its role in our lives beyond reflecting our culture back to us. In 2012 Andrew founded Vanguard Music Studio with partners Anna Evangelista and Attila Mozsolits. VMS offers first rate musical instruction in private lessons, group classes and ensembles and in special workshops and performances. It is a dynamic musical community that inspires creativity and dedication in their students.